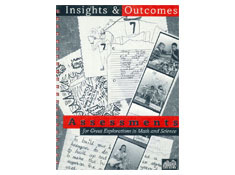 Insights & Outcomes is designed to help teachers and educators assess student learning progress in activity-based science and mathematics, as well as evaluate the effectiveness of their own curricula and teaching methods. 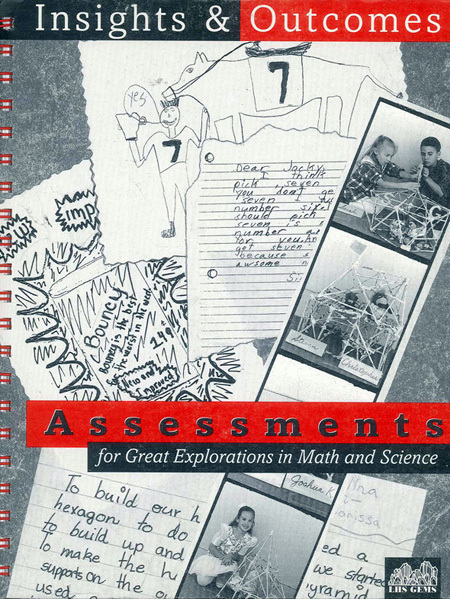 This handbook provides a coherent, accessible assessment component for the entire GEMS series, and is an important resource for the assessment of activity-based science and math in general. The handbook includes 17 detailed case studies featuring a wide variety of assessment activities in GEMS. The case studies exemplify a multiplicity of assessment strategies, include actual student work, and employ many evaluation techniques. An opening section describes and comments on “a year in the life of” two fictional teachers as they grapple with ways to assess GEMS activities and hands-on, minds-on math and science in general. The other main section of the handbook is a complete guide by guide assessment resource for the entire GEMS series, with selected student learning outcomes, “built-in,” and “additional” assessment activities for every GEMS guide.